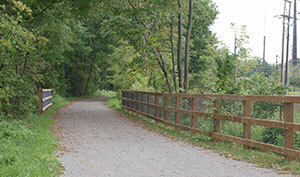 Join Chester County’s Department of Facilities and Parks and Planning Commission at a public meeting about the Schuylkill River Trail Phase II project from 6 p.m.-7 p.m. October 17 at the East Coventry Township Municipal Building, 855 Ellis Woods Road, Pottstown. Chester County’s Schuylkill River Trail Phase II project will complete the 4-mile gap between Linfield Road in Parker Ford north to the Route 422 Bridge over the Schuylkill River. Construction of this regionally significant shared-use trail project is anticipated to begin in 2019 and will be funded through the federal Congestion Mitigation and Air Quality Improvement Program. View more information about the trail.